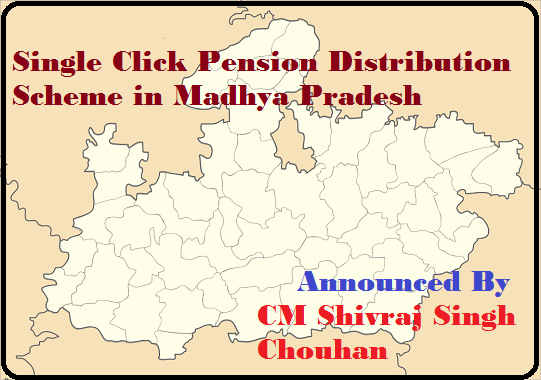 The Single Pension distribution scheme is a new scheme for the employees of the Madhya Pradesh state government. It will apply to all the current employees and will majorly benefit the pension holders in the state currently. Under this scheme, the government will directly transfer the money to the bank account of the pension holders. This scheme was announced on 1 Oct 17 by the Chief Minister of Madhya Pradesh Mr. Shivraj Singh Chouhan. This was the International Day for elder People. It is also the day from which the scheme has started being implemented. The elderly pensioners’ pension will directly be deposited to their bank account. They will not have to go to the bank to draw their pension or enquire about it. The pension will reach their account on the 1st of every month. The government will also improvise this scheme so that drawing pension becomes easier. Beneficiaries – This scheme will directly benefit 35 lakh elderly pension holders in the state. It will ensure that the pension holders are able to draw their due on time. It is also being mulled that a new helpline number will be launched so as to answer any queries the elderly may have for withdrawing their pension. There will be 10 types of pensions that one can avail at the click of a button itself. Earlier 6000 signatures were needed to approve the pension of all the employees. Now only one signature is enough to carry out the process. On this website you will see a link called “Login” – there may be many pop ups on the main page. Simple click on “Close Window” and proceed. You will see “Login” at the top left side of the page. Click on it. You can login there with your login ID and password – if you have these details. If you do not have these details then you will have to register on this portal. During registration give general details about yourself and create your login ID and password. After that again go to the main page and “Login”. Once you have logged in, you have to click on the “Apply Online” button. This link will take you to a new page. This will ensure that the government has all the details. You can also visit http://pensions.samagra.gov.in/faq.aspx to find out answers to any questions you may have. This move will help several pension holders get their due on time. The payments shall be cleared on the first business day of every month and this will come without the pensioners having to queue up in the banks, which is a great relief.